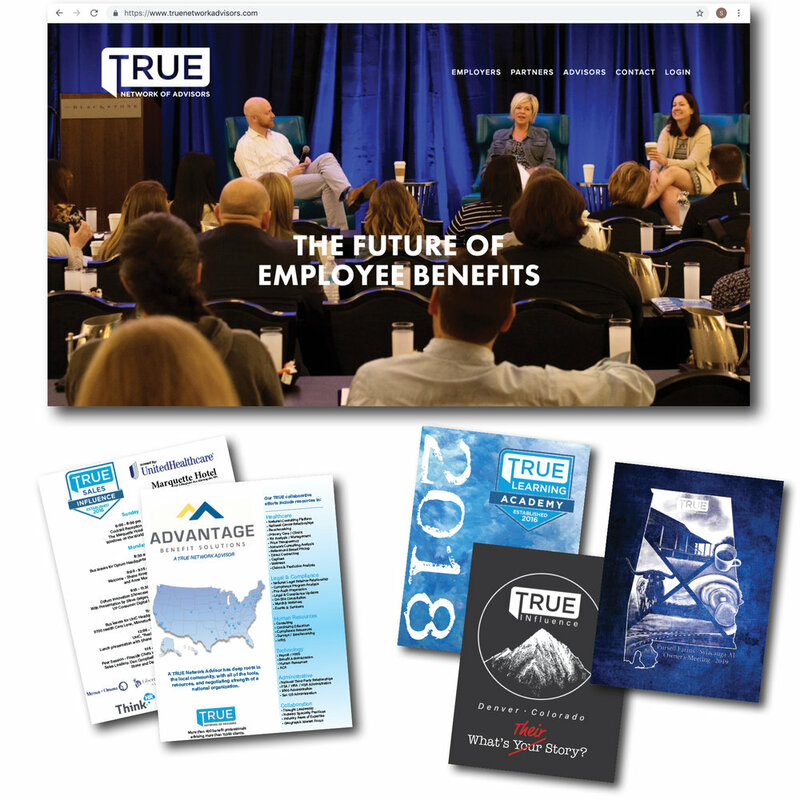 Our work for TRUE Network of Advisors has included a complete redesign and build of their web presence, countless print marketing materials, custom artwork, graphic design, event photography, and video production. As a result of our outstanding relationship with TURE, we now proudly serve many of TRUE’s member agencies and strategic partners as well. One Smile Dental Group was referred by another client when they decided to rebrand the business. The project included new logo, website, print advertising, billboard designs, and client cards. Our ongoing relationship with Health Cost & Risk Management, a hi-tech clinical and financial analytics company, has included efforts in forming a cohesive branding campaign including a new website, marketing video, informational brochure, as well as print and digital advertisements. Beginning with a new logo and color pallet, our ongoing work with Affordable Employee Benefits includes a redesigned website and various print marketing materials including a 20 page brochure of services and single-sheets. New logos, print and digital marketing materials, business cards, custom social media content, and a completely redesigned website began our ongoing client relationship. We started with a new logo and branding package for Lake & River Fun, followed by a new website build-out, business cards, rack cards, and a full page magazine advertisement - poster design. Lake & River Fun is also a site managed client.